A kidney diet helps make the kidney’s job of filtering waste easier. Each person’s kidney diet may differ depending on their stage of kidney disease, dialysis treatment option, body type, nutritional status and blood test results. Nutrition Facts on food labels don't always provide information on the key nutrients for a kidney diet. Just because a nutrient isn't listed on the food label, doesn't mean it's not in the food. Talking to a dietitian may help you learn more about making healthy food choices. Keep an eye on these four key nutrients when following a kidney diet. Forms strong bones and helps the body make and store energy. Regulates blood pressure and volume and maintains fluids. Helps the body build and repair tissues. Controls nerve and muscle function to help keep your heart beat normal. The Food Analyzer—a feature on DaVita Diet Helper™—allows you to find specific nutrition information for almost any food item. See how it works for potassium and phosphorus below, or go to the full version of the Food Analyzer. No matching results, please try again. 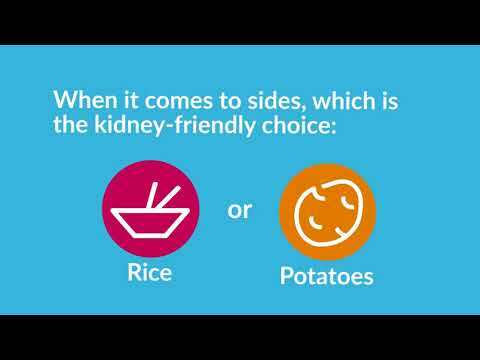 Start managing your kidney diet with DaVita Diet Helper™. With this tool, you can customize a diet, plan meals, create a shopping list and look up specific nutrition information on the Food Analyzer. Download Today’s Kidney Diet cookbook to find hundreds of recipes that are kidney-friendly and packed with flavor. Whether you're searching for a quick snack or a holiday dinner, DaVita's recipe collections have a kidney-friendly dish that's right for your diet needs. If you have kidney disease, you cannot eat meat or dairy. True or False? Incorrect. You can still eat meat and dairy as long as you monitor your intake of protein, phosphorus, potassium and sodium per your dietitian’s recommendations. Correct. You can still eat meat and dairy as long as you monitor your intake of protein, phosphorus, potassium and sodium per your dietitian’s recommendations. 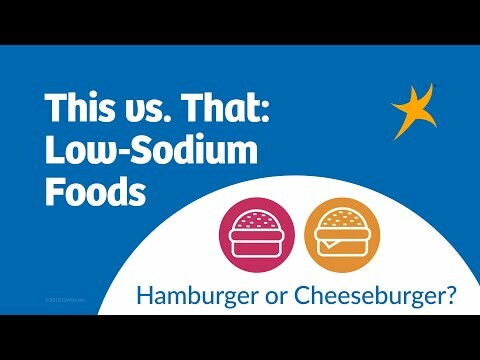 Regardless of what stage of kidney disease you’re in, you should eat fewer foods with phosphate additives in your diet. True or false? Incorrect. If you have kidney disease (any stage), your body may have a hard time filtering phosphorus from your blood. Stay away from foods with phosphate additives as much as possible to keep phosphorus at a healthy level that is right for you. Correct. If you have kidney disease (any stage), your body may have a hard time filtering phosphorus from your blood. Stay away from foods with phosphate additives as much as possible to keep phosphorus at a healthy level that is right for you. The leading cause of kidney disease in the U.S. is diabetes. For those with diabetes and kidney disease, it is not important to follow a specific diet. True or false? Incorrect. Following a diet specifically for diabetes, kidney disease and your individual needs is vital to overall health. Correct. Following a diet specifically for diabetes, kidney disease and your individual needs is vital to overall health. High blood pressure (hypertension) is the second leading cause of kidney disease in the U.S.4 However, your diet has nothing to do with your blood pressure. True or false? Incorrect. Following a kidney diet, and especially limiting your sodium intake, along with taking prescribed blood pressure medicines can help manage your blood pressure. Correct. Following a kidney diet, and especially limiting your sodium intake, along with taking prescribed blood pressure medicines can help manage your blood pressure. Before making any changes to your diet, you should consult your dietitian. True or false? Incorrect. Talk to your dietitian before making any changes to your diet. They can give you the best recommendations based on your body’s specific needs. Correct. Talk to your dietitian before making any changes to your diet. They can give you the best recommendations based on your body’s specific needs. Disclaimer: This content is for informational purposes only and is not a substitute for medical advice or treatment. Consult your dietitian and physician regarding your specific diagnosis, treatment, diet and health questions. 1. Understanding Sources of Dietary Phosphorus in the Treatment of Patients with Chronic Kidney Disease by Kamyar Kalantar-Zadeh, Lisa Gutekunst, Rajnish Mehrotra, Csaba P. Kovesdy, Rachelle Bross, Christian S. Shinaberger, Nazanin Noori, Raimund Hirschberg, Debbie Benner, Allen R. Nissenson, Joel D. Kopple. CJASN March 2010 vol. 5 no. 3 519-530. | 2. Kidney Disease: Improving Global Outcomes (KDIGO) CKD Work Group. KDIGO 2012 Clinical Practice Guideline for the Evaluation and Management of Chronic Kidney Disease. Kidney inter., Suppl. 2013; 3: 1–150. | 3. 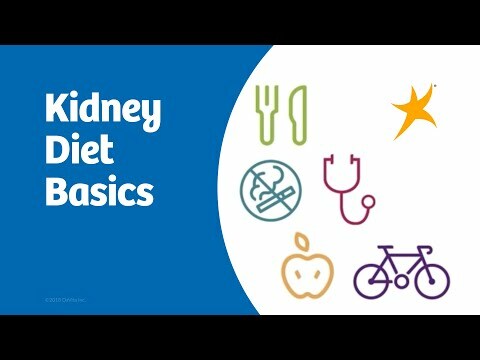 Today’s Kidney Diet: Quick Reference Guide. | 4. American Kidney Fund®.